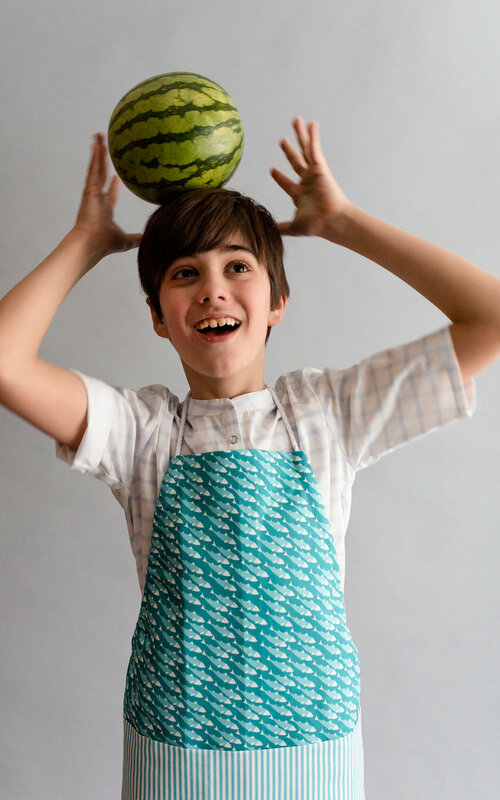 I am sure you have heard about the Project Run & Play Farmer’s Market Capsule Collection! 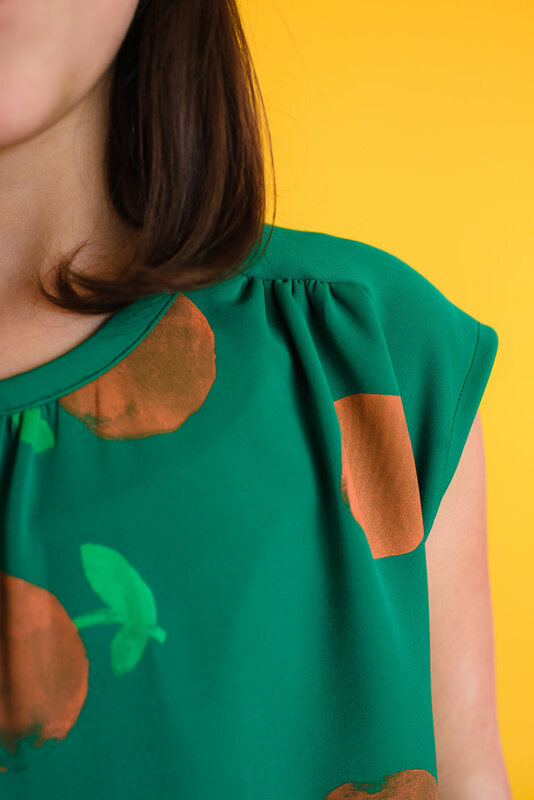 If you haven’t, a few pdf pattern designers got together to create some patterns to create a collection all under the supervision of Audrey of Skirt Fixation/Project Run & Play. All these designers are previous Project Run & Play contestants… how cool is that! 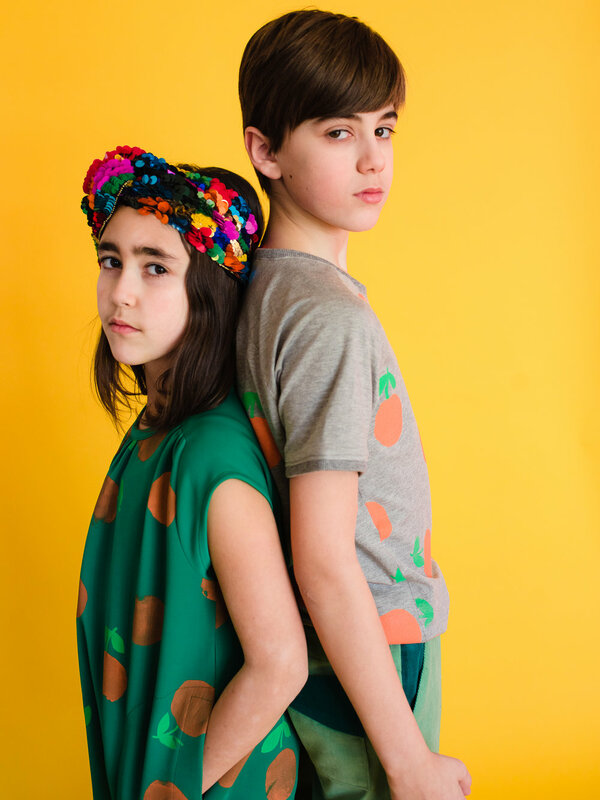 Well, we all got together and worked on determining a theme and coming up with patterns that would work nicely together so that you can create a fun summer wardrobe for your kids, for both girls and boys. 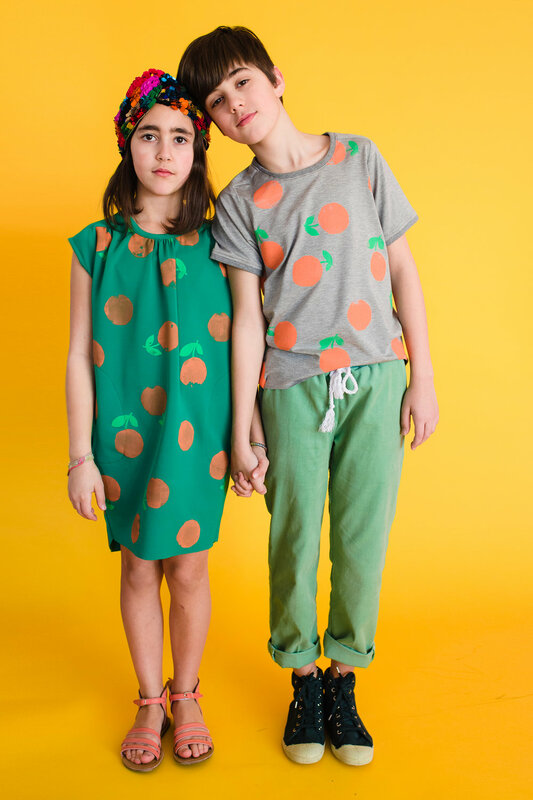 I made not one but two patterns: The Turnip Trousers/Shorts & The UpBeet Tee/Dress. 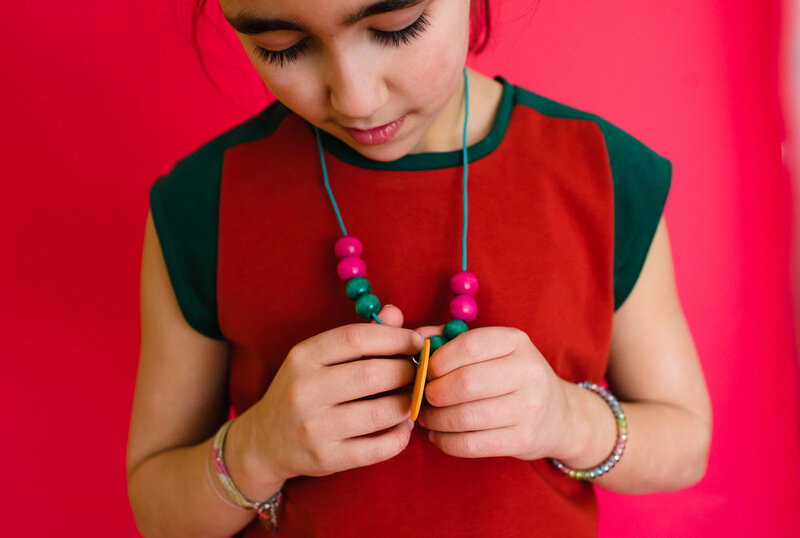 Both pattern are available in the Project Run & Play shop. You can get them individually or as part of the Unisex Bundle which includes the Rosemary & Thyme Shirt, The Jonagold Jumper, The Ichigo Jacket and my two patterns. You can also get the entire collection- You get the best deal when you buy the bundles. The Turnip Trouser/Shorts is a tapered pant with a curved back yoke, optional knee patches (my kids get holes in their trousers so quickly this was a must have options), optional patched for a vintage vibe, side pockets and fun back patch pockets that mimic the Ichigo Jacket (Sew Designs pattern contribution to the collection), as well as a knit waistband for extra comfort and a fun funnel drawstring for a modern touch. 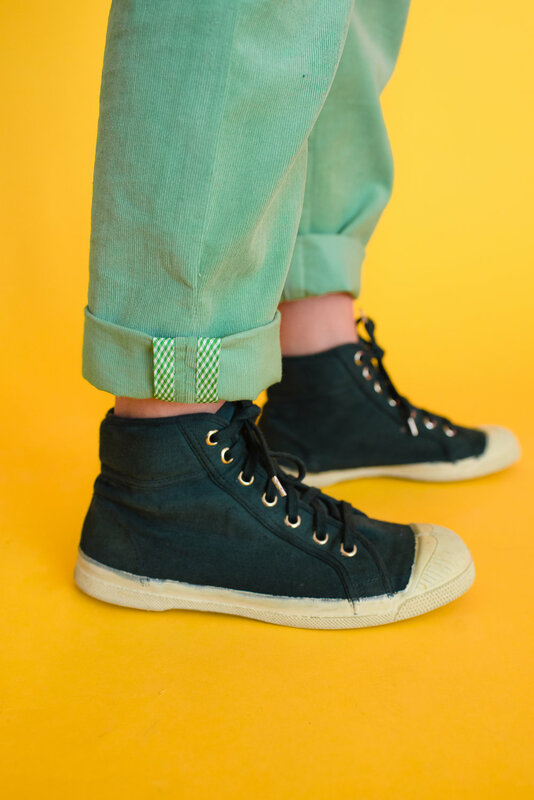 Did I mention the hong kong finish at the side seam hem, for a fun detail when the trousers are turned up- a must for a trendy look this summer. 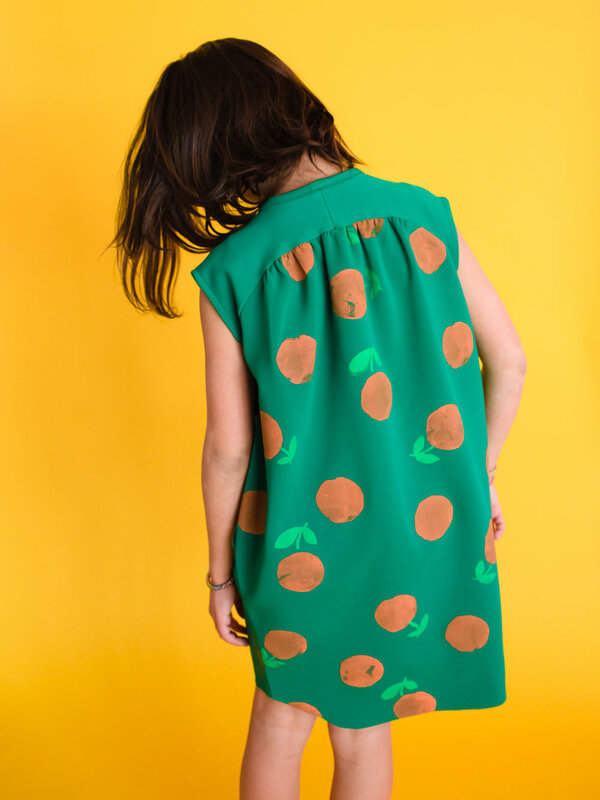 The UpBeet Tee/Dress is a fun take on a regular t-shirt and a raglan one. 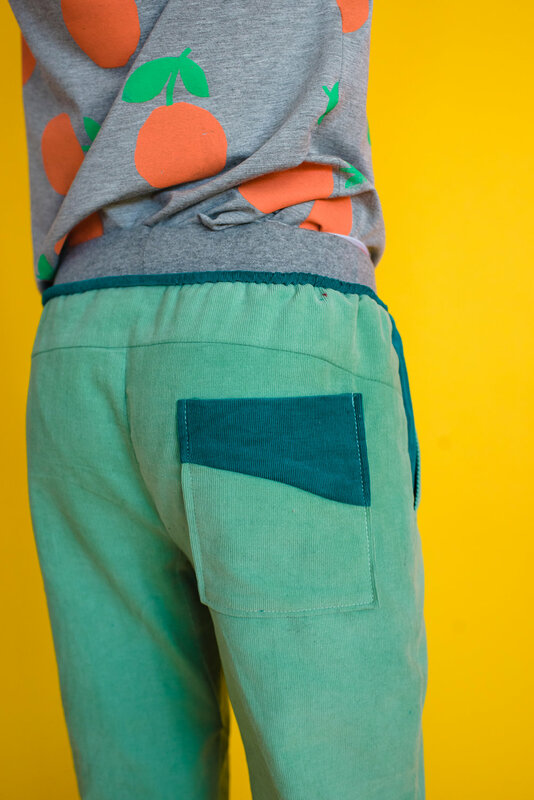 You can really have fun with color blocking with this style. 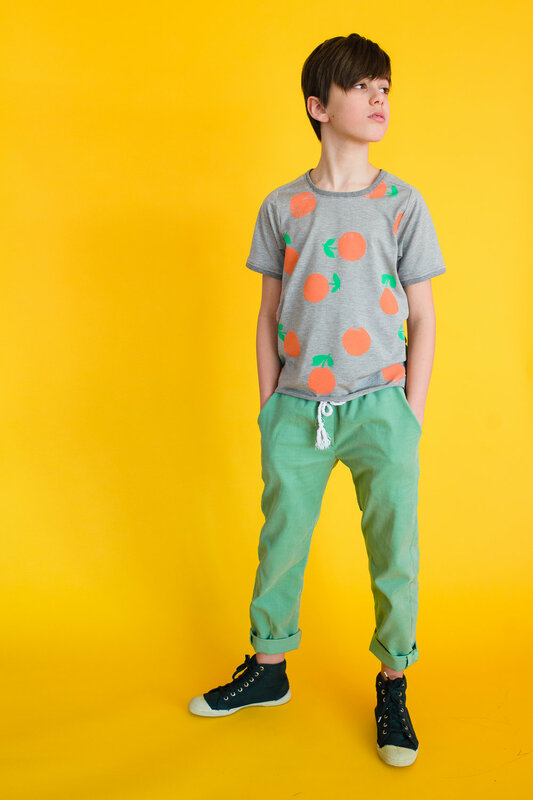 The fit is loose and comfortable and slightly on the long side for the length. The sleeves come in a cap sleeve, a regular one and a 3/4 length. You can finish the tee with some ribbing or bias finish at the neck, sleeve and hem. 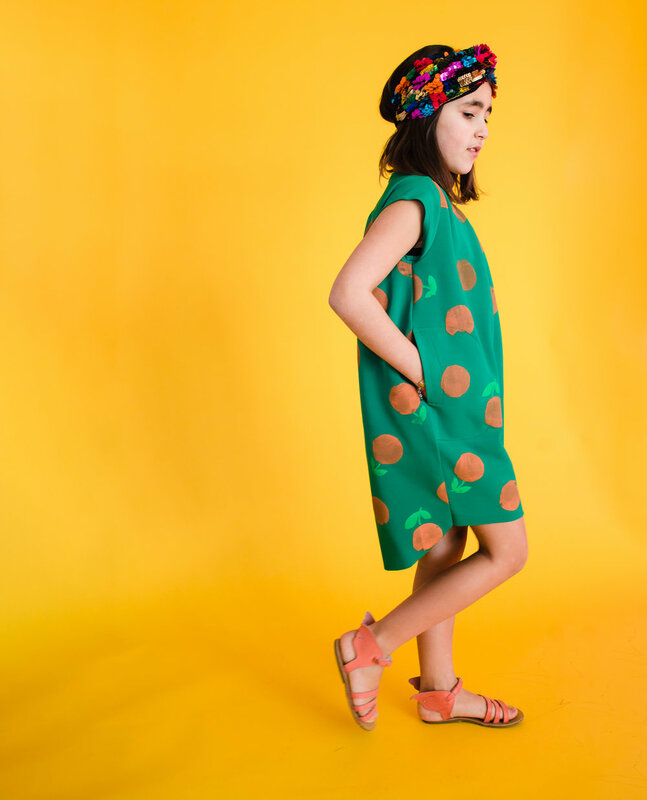 The dress is a oversized cocoon silhouette with some side seam pockets. The back can be made with knit fabric as well as a woven. It’s as comfy as it’s stylish. For a more structure look think of using a neoprene or scuba knit like the green dress I made. 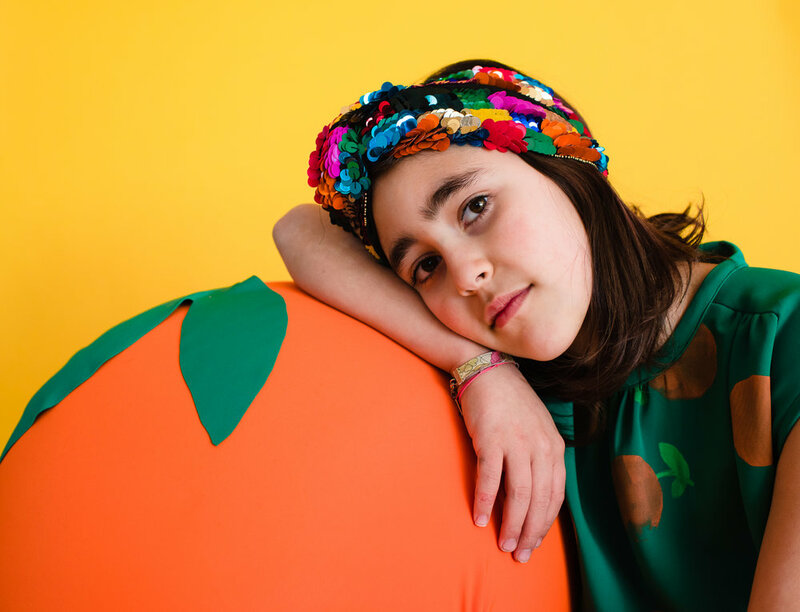 You can see all the different items I sewed up from the collection in the look book - if you miss STYLO Magazine, you’ll love this look book and be inspired by all the beautiful photos and makes. Pictured here is the Caraway Cardigan by Delia of Delia Makes, the UpBeet Dress in a thin blue and white Jersey, the Ichigo by Kat of Sew Chibi, the Thymes Shirt by Audrey of Skirt Fixation and some Upcycled Turnip Trousers. I’ll be blogging about each individual looks I made this week- a total of 20 items! So be sure to be back, I didn’t want to overwhelm you with too much information. 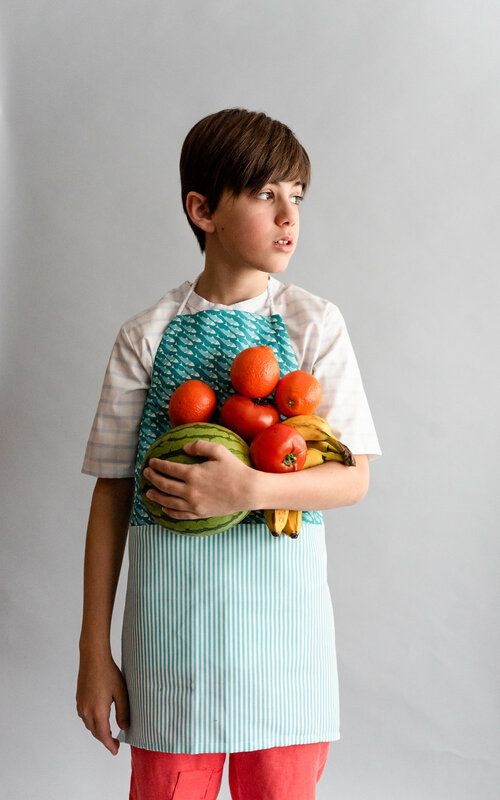 As a little bonus I created The UpRoot Apron, perfect for washing fruits and gardening this summer. 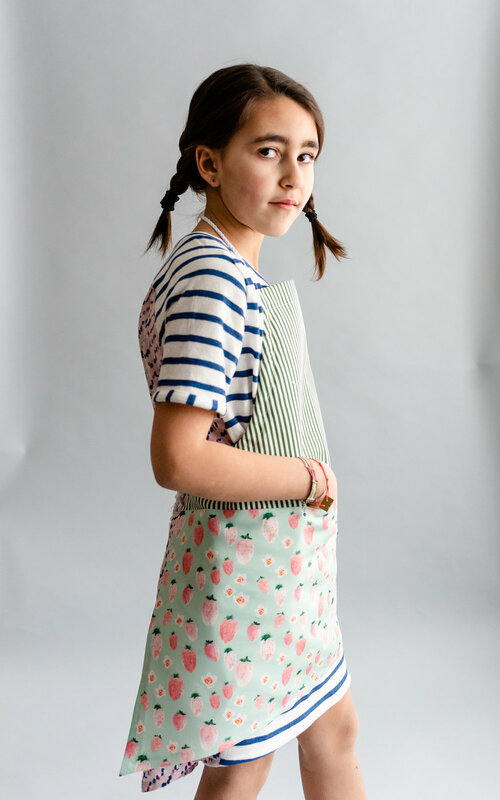 It’s a color block apron with a front inseam pocket and adjustable straps. 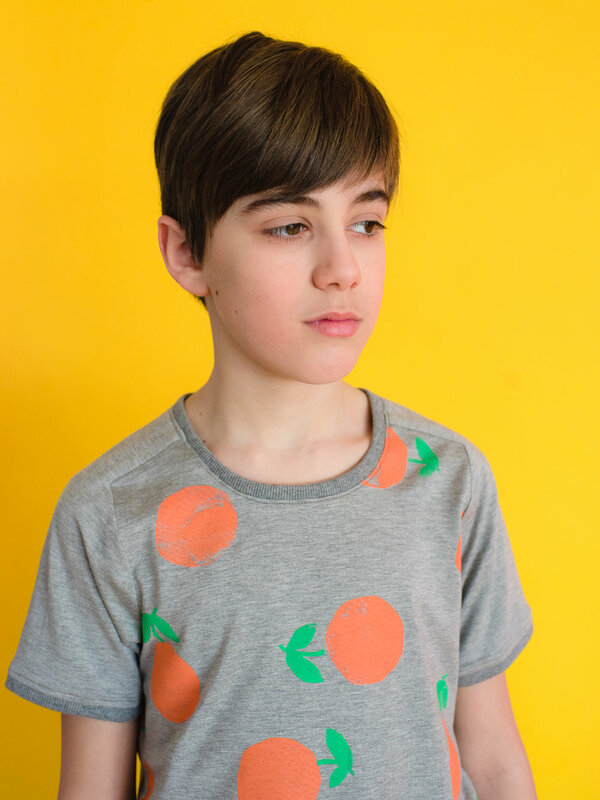 It come is 5 sizes- perfect for kids 2T up to 16+ (perfect for adults too ;) ). You can find the pattern in the SHOP here and the instructions are below. 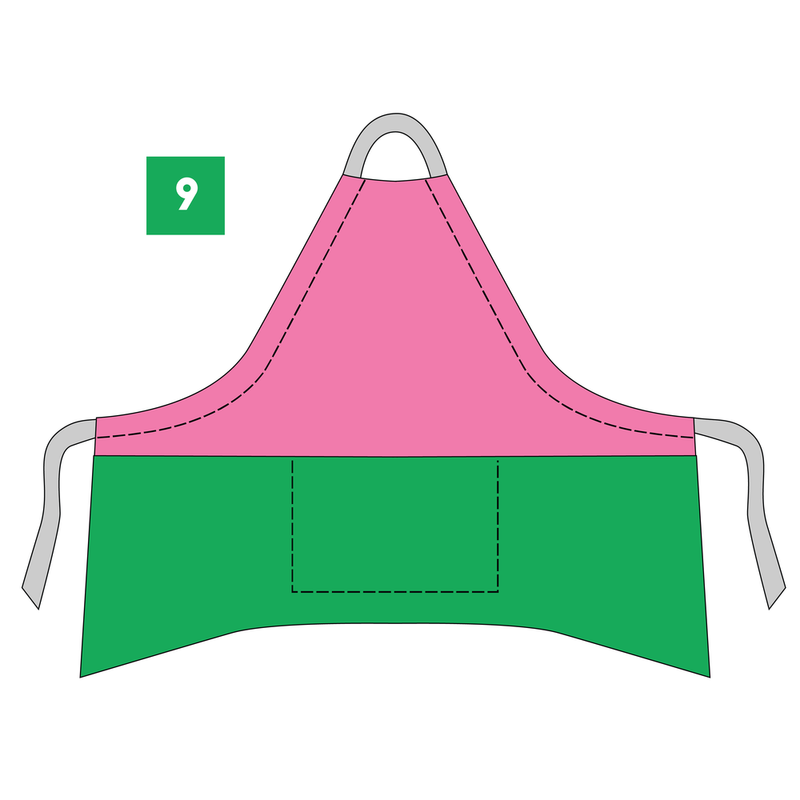 1- Align the upper and lower apron with right sides together and stitch along the center seam and pocket bags. Pivot at the corners. Overlock the raw edge and press the seams with the pockets going down. 2- Stitch the pocket down by stitching a few times back and forward at the pocket opening on the lower part of the apron. 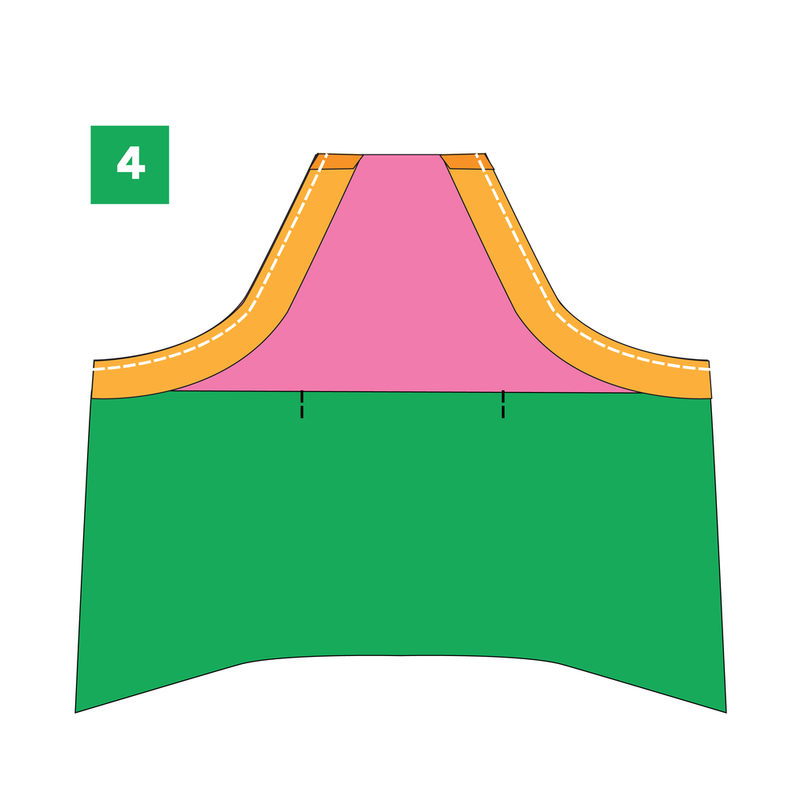 3- Overlock the upper edge of the apron and with the wrong side of the apron facing up fold that uper edge by 4cm and press. Optional*** Stitch right at the edge of the overlap. 4- Align the facing with the apron with right sides together. Fold the upper edge of the facing by 2cm. Stitch at 1cm from the edge. Clip the seam allowance at the curves. Press the seams open. 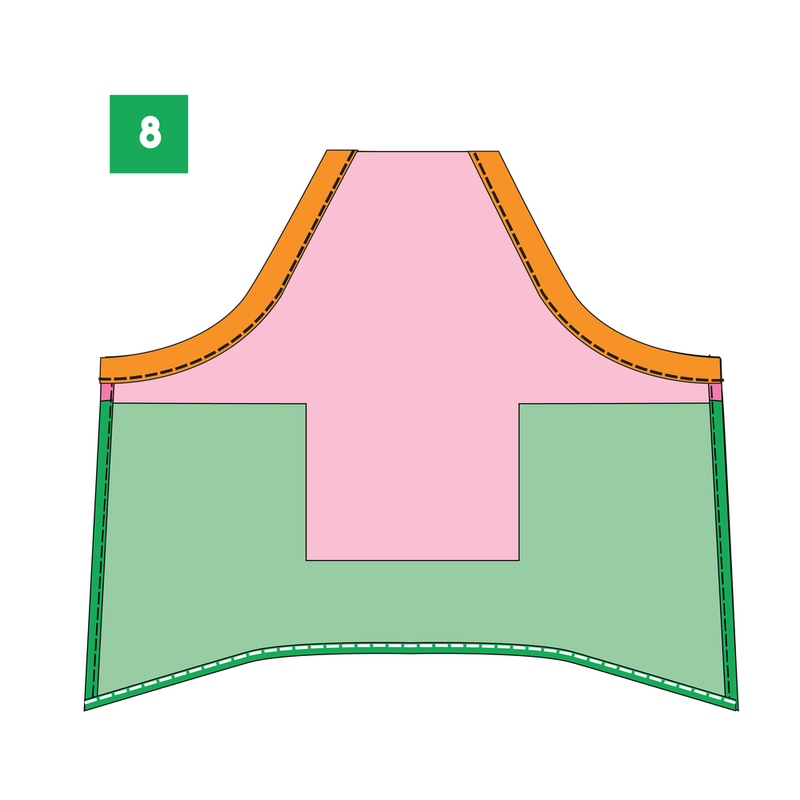 5- Turn the sides of the apron over by 1cm twice and stitch. Press. 6- Press the raw edge of the facing in by 1cm. 7- Place the facing flat onto the the apron with wrong sides together. Pin in place and stitch right at the edge of the facing. 8- Turn the hem over by 1cm twice and stitch right at the edge. Press. 9- Insert the ribbon/drawstring with the help of a safety pin, adjust the length. 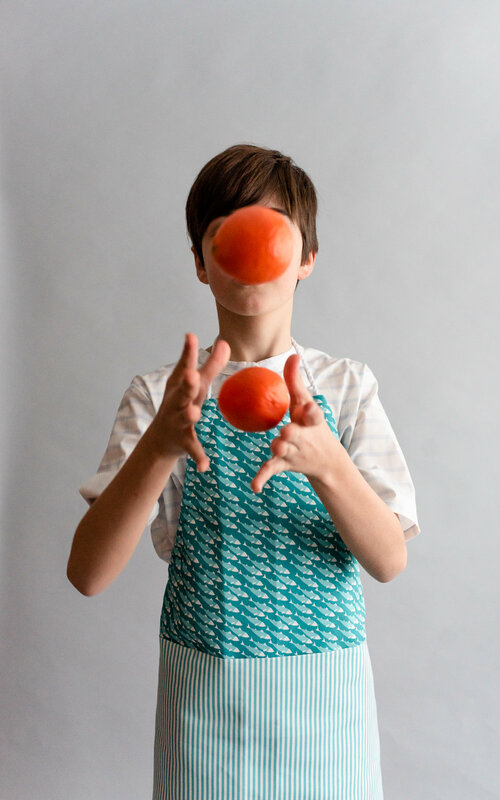 UpROOT APRON: Fabrics in canvas from Hawthorn Supply Co.